Apple released Apple Watch OS 1.0.1 a few days back. The update was targeted at improving the performance of many fitness-related functions, but in that bid, a familiar yet unfortunate story has unfolded as reports begin dropping in that the Watch OS 1.0.1 update carries a particular bug. Apparently, the Apple Watch records a user’s heart rate every ten minutes; but not so much after the Watch OS 1.0.1 update was pushed out, as revealed by users on the Apple Support Communities. 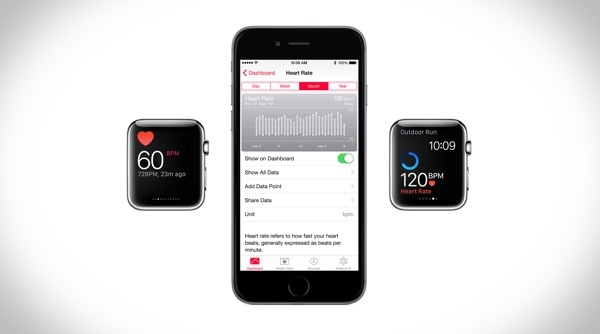 Heading over to Health Data – in the Health app – on the iPhone connected to your Apple Watch, users who have updated to the latest firmware will notice large interval gaps in the recorded Heart Rate data ranging from 1 to 2 hours, with no uniformity whatsoever. For some users the functionality has completely ceased from working in the background, with reports coming in that unless the feature is triggered manually from Glance, the Apple Watch will just sit back and relax. However, continuous heart rate monitoring seems to be functioning normally during a Workout routine, so it’s not completely broken at least. 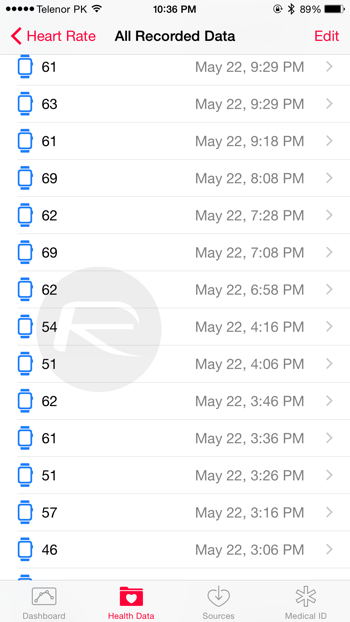 You can check the readings your Apple Watch is feeding your iPhone by opening the Health app. Now navigate to Health Data > Vitals > Heart Rate > Show All Data. Be sure to confirm that your smartwatch is running the latest firmware by launching the Apple Watch app, and navigating to General > About. Meanwhile, if the bug is set aside for now, the update has actually improved upon the existing Watch OS setup, but as has been Apple’s story for some time now, a bug has crept in which Apple is yet to respond to. We’re certain that Apple will push out an update in due course to rectify this issue, and when it does, we’ll definitely know our readers about it.